Best to change it up to first person voice, since I’m writing the actual article. So, I, Patrick McDonald, will attempt to break down the film year into the 10 Best, and my colleagues on HollywoodChicago.com will follow suit in the next several days. This combination of American war machine metaphor and homage to “The Terminator” scored several points, including casting and sheer audacity in storytelling. Dan Stevens portrays David, a soldier home from Iraq, who seeks the family of his dead colleague. Welcomed into and ingratiating himself in their home, his presence starts to arouse the suspicions of Anna, portrayed with perfect party-girl-meets-Nancy Drew deliverance by Maika Monroe. The film never flags from being what it is, a direct symbol for the unending and unyielding American need for military industrial conflict. The Frankenstein-monster-like truth behind David is chilling, and the filmmakers – director Adam Wingard, writer Simon Barrett – never shield what they’re portraying. A true hidden gem for 2014. 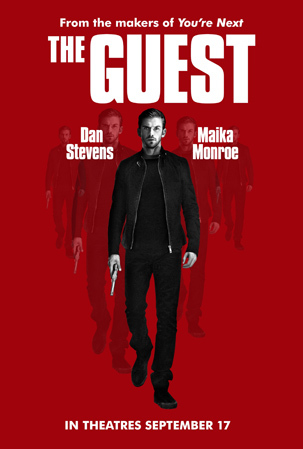 HIGHLIGHT: The steely perfection of Dan Stevens as David. What evolved from a crazy quilt film “experiment” from writer/director Richard Linklater – filming a story over 12 years using the same actors – became something so much more poignant. 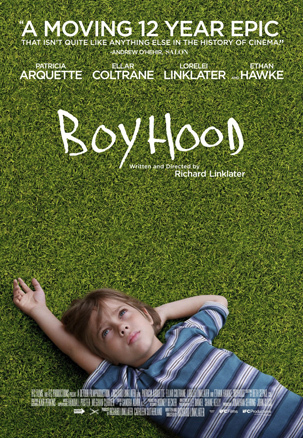 “Boyhood” is 12 years in the life, but it also contemplates those years, especially as the actor Ellar Coltrane – as the boy – grows into the edge of manhood. It seems as though there is no acting at the conclusion, only a authenticity to what life can throw at a person. And also, Patricia Arquette (Mom) emerges through her own soul within the challenges of being a single mother – it’s as much her story as the boy’s, and she is laser focused. Also kudos to Ethan Hawke (Dad), who is a stock player in Linklater’s universe, and understands both how to communicate his character, and protect it. This was the top film of the Chicago Film Critics Association. HIGHLIGHT: How the good karma of the project made sure that all the kid characters grew up, not only as good actors, but as interesting-looking faces for the big screen. 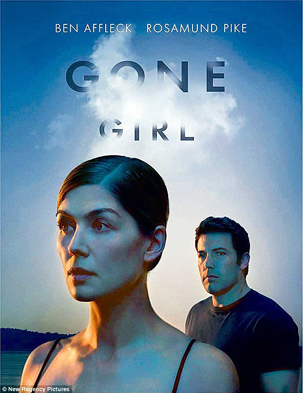 I didn’t read the Gillian Flynn novel that “Gone Girl” is based on (Flynn did the screenplay adaptation), but I can’t imagine it could be any better than the profound social and cultural satire that director David Fincher created from it. I find it interesting that I “only” gave it four out of five stars in the original review, because it was a film that stuck with me for weeks. Whether it was the on-point performances of Rosamund Pike and the revelatory Ben Affleck, or the support cast choices of Tyler Perry, Missi Pyle and Sela Ward, the film just kept relentlessly expressing the tragedy of what is piled onto the human condition in contemporary society. The fact that it worked on two levels, the aforementioned satire and Lifetime-Movie-style thriller, speaks both to the source novel and the need to go beyond those sources in film interpretation. And essentially, it was so much delicious fun. HIGHLIGHT: Whenever the handsome yet squirrelly visage of Ben Affleck attempted to explain anything, and the underlying consequences thereafter. When I was a kid, there was the Paris Peace Accords of 1973, which finally ended the American participation in Vietnam, after over 50,000 American deaths and countless in-country casualties. 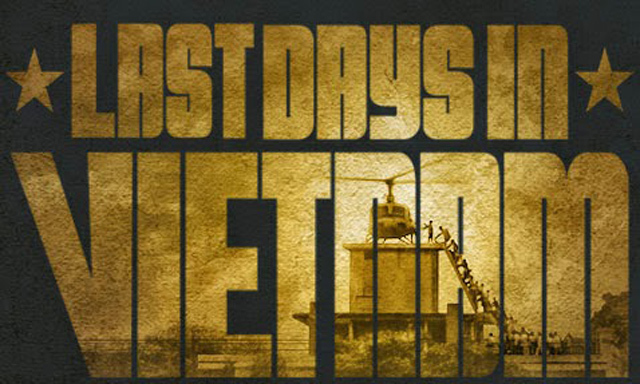 As the pop era of the 1970s raged on, suddenly there was the “Fall of Saigon” (the South Vietnamese capital city, representing the side America fought on) in 1975. How did that happen? Director Rory Kennedy – youngest daughter of Robert F. Kennedy – explains it all, in a riveting and necessary history lesson. The mistakes of human beings in war, whether at the executive/military levels or those on the ground, is stunningly laid out in this precisely told documentary. Everything old is new again, except now we’re in conflicts for longer time periods and even more ignorance to what is really going on. The information presented in this film unerringly illustrates that truth. HIGHLIGHT: The use of modern graphic design to establish time and place. How could I anticipate what a life means to me, when it is cinematically documented less than a year after I experienced years with the flesh-and-blood subject? 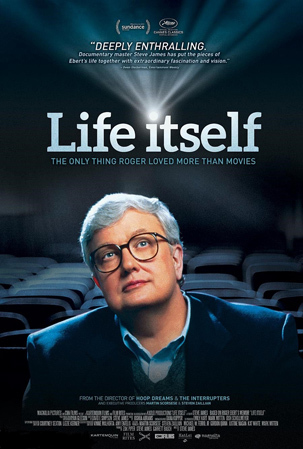 Director Steve James and producer Chaz Ebert’s “Life Itself,” an adaptation of the memoir by the legendary and unforgettable Roger Ebert, was a disclosure of Roger’s fight in his last years of illness and dread, combined with the pirate’s tale of his long and influential adventure as American’s most popular and accessible film critic. The indulgence and interaction with the film can be summed up in the story of the first time I shared the screening room with Mr. Ebert as a professional film critic. After the movie was over, I went over to him, shook his hand, and said, “the only reason I’m here, is because you’re here.” The memoir and film “Life Itself” fills it in from there. HIGHLIGHT: The use of voice actor Stephen Stanton, in a perfect Roger Ebert inflection, to narrate the passes of the memoir that were used in the film.